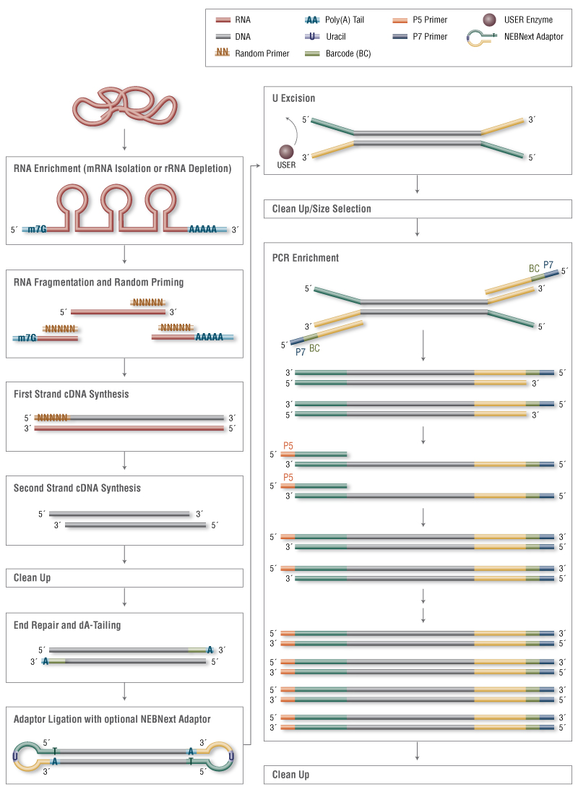 For use with the Illumina® sequencing platform, mRNA libraries are prepared by construction of a cDNA library, followed by DNA library preparation steps: repair of 3′ and 5′ ends followed by the addition of a non-templated dA-tail before ligation with an adaptor. Libraries are size selected after adaptor ligation, and amplified via polymerase chain reaction (PCR). 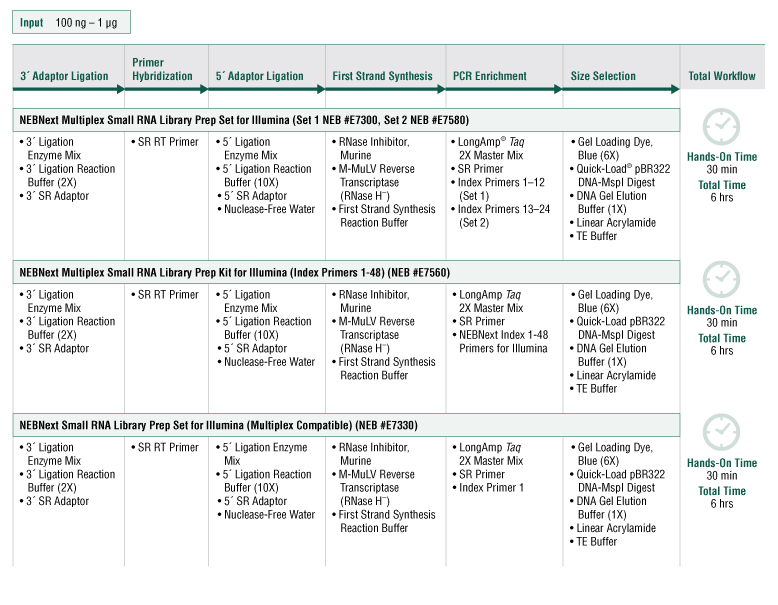 For more information, choose the mRNA library construction workflow for Illumina tab below. 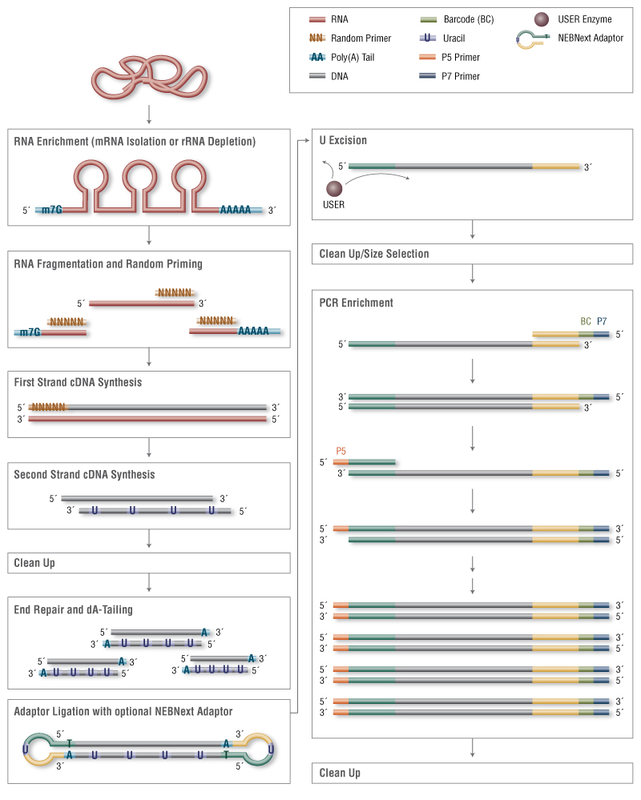 Small RNA libraries are constructed using a different workflow, in which adaptors are ligated directly to the small RNA molecules, followed by reverse transcription, PCR amplification and size selection. In the novel NEBNext® workflow, the introduction of the RT primer ahead of ligation of the 5’ adaptor prevents formation of contaminating adaptor-dimers. 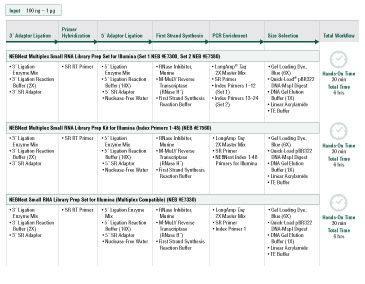 For more information, choose the small RNA library construction workflow for Illumina tab below. 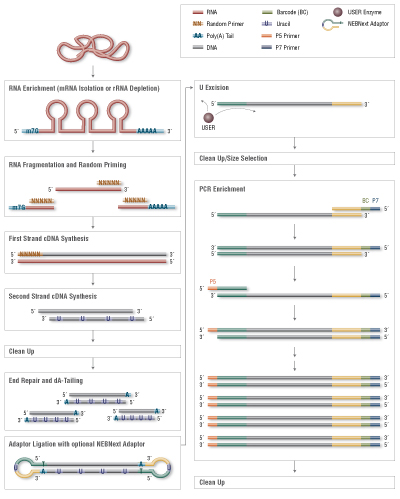 NEBNext reagents are available for each step in mRNA and small RNA library preparation workflows for the Illumina platform. Reagents from NEB are available in a set, master mix or module format. 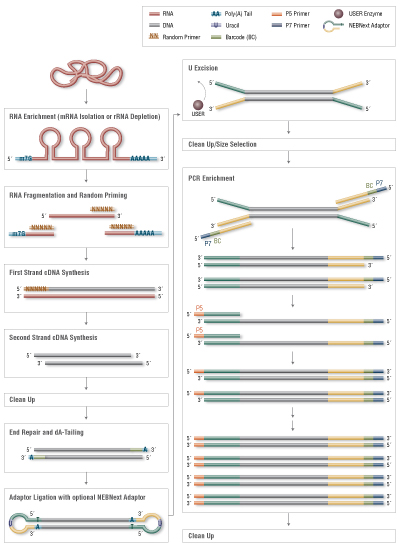 Each of these reagents has been functionally validated by preparation of an RNA library from an accepted RNA reference sample, followed by Illumina sequencing. 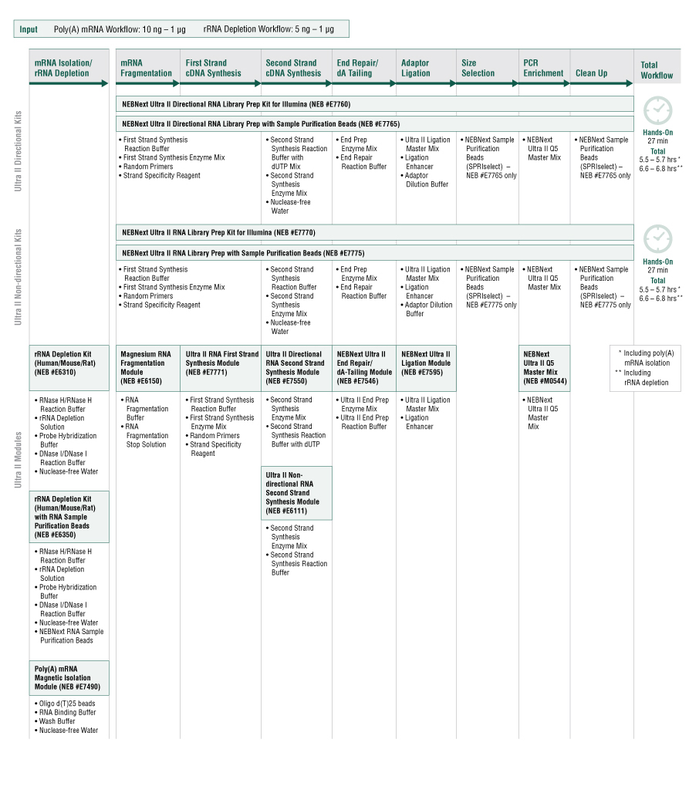 Refer to the manual (NEB #E7335) for a list of NEBNext library prep kits that contain protocols for use of NEBNext adaptors and primers.